In the photographic world, this is just so true. We all began with a Kodak Box Brownie camera, we were delighted with the ability of this equipment to record scenes, and even people (as long as you didn’t get too close). 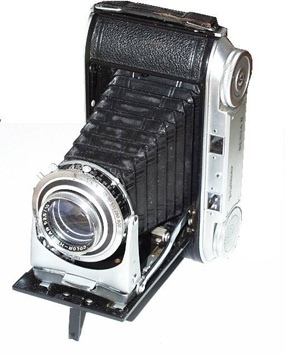 From there, most of us went to folding cameras like the Voigtlander Bessa (am I bringing back memories now?) and from there to an SLR like the Canon AE1 + Program. For the keen amateurs there would be a number of SLRs from various manufacturers, until you settled on one and built up a system from there. I have one friend with the complete range of Pentax lenses as well as a couple of camera bodies. But the “first one now will later be last” as we have seen. The change from film to digital, then the change from DSLR to Bridge cameras and now the advent of the camera phone and the “art” of “selfies”. Some time ago, I wrote about a DVD I had been given, saying “Being a Nikon produced video lesson, there was a very strong message to use Nikon equipment, and I will admit to using Nikon myself until I was seduced by the ease and simplicity of the Panasonic Lumix.” That prompted an email from Don Griffith who wrote, “I bought a little Panasonic Lumix TZ7 myself – the only thing it has not got that is really important to me is RAW. It has quickly become indispensable-and the picture quality is generally excellent. I bought the ‘bridge’ Panasonic Lumix DMC FZ50 and not the TZ7. The FZ50 does have the RAW files capability which Don Griffith is looking for. I also bought the camera because I didn’t want to walk around lugging lenses any more either, and the DMC FZ50 has a Leica zoom covering 35 mm to 410 mm and with optical image stabilization, you can even hand-hold through the zoom. Another photographer who agreed with my choice was Alan Puzey who wrote in with his own experiences of the FZ50. And he was another tired of lens lugging. He wrote, “I no longer wanted to carry around a case of equipment with additional lenses, flashes, etc., and so SLRs were out. Of this sort of alternative the Lumix looked just what I needed – and has proved to be so. “I love the lens quality and the positioning of controls around the camera. Very logical and easy to use. When I have to revert to the ‘on-screen’ menus, they are pretty good. I didn’t at first like the feel of holding this camera, but now I have got used to it, it’s no problem at all and now feels ‘normal’. “I only use the ISO 100 setting; the sensor is not the best available and all speeds higher than this bring quality down. ISO 800 and 1600 I wouldn’t touch with the proverbial barge pole! And is there a downside? Yes there is. It would be nice to have a wide angle capability, but so far the adapters are not good by all reports and the built in camera flash is woeful. You can’t have everything! How ‘mega’ do you want your pixels?